I have loved vintage Fiestaware since I was a little girl. My great grandma Edna had an amazing collection from the 1940’s. I was in love with this collection, especially the rose colored plate (I always had to have it at family functions). My grandma knew how much I loved it and left it for me. Not only are the colors amazing, I have so many fond memories attached to these wonderful little dishes. I love it, and get to look at it in my kitchen daily. Those are beautiful, Jen! Fiestaware is one of my favorite lines too 🙂 They make me want to throw a big backyard party. Perhaps we should have a big backyard party! 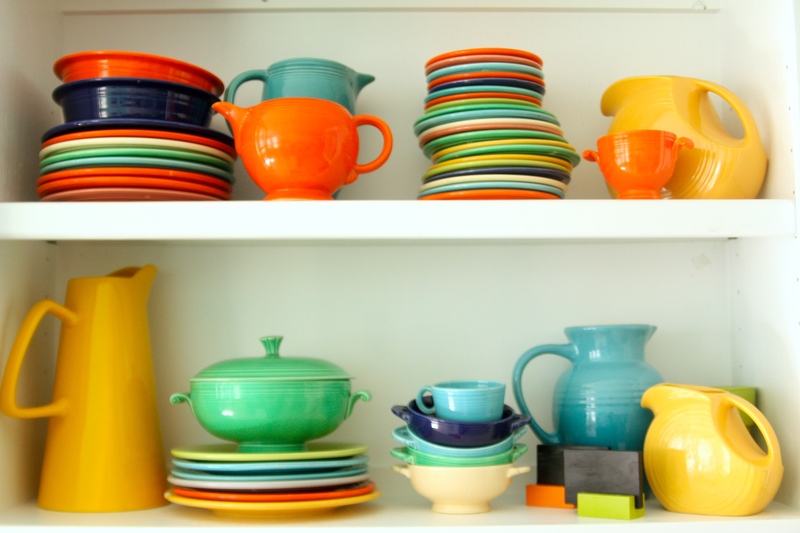 Oh my, I just swoon when I see Fiestaware. But I can’t let myself buy any, or I wouldn’t be able to stop myself from getting an entire collection. I think I have obsessive collection disorder.